If you are looking for a super hero themed story that isn't dominated by male characters than Miraculous Tales of Ladybug & Cat Noir may be a show you want to check out. 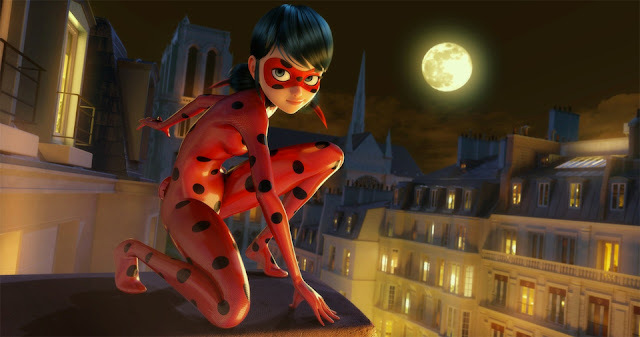 The adventures of teenage girl Marinette as the hero known as "Ladybug" provide for super fun in this animated TV series that has been wildly successful on Nickelodeon and is now being released on DVD beginning May 3, 2016 by Shout! Kids. Both my seven year old daughter and son really enjoy watching the Paris-based adventures of Ladybug and Cat Noir so A Geek Daddy is sharing my kids enjoyment of the show with a C'est Magnifique giveaway courtesy of Shout! Kids. 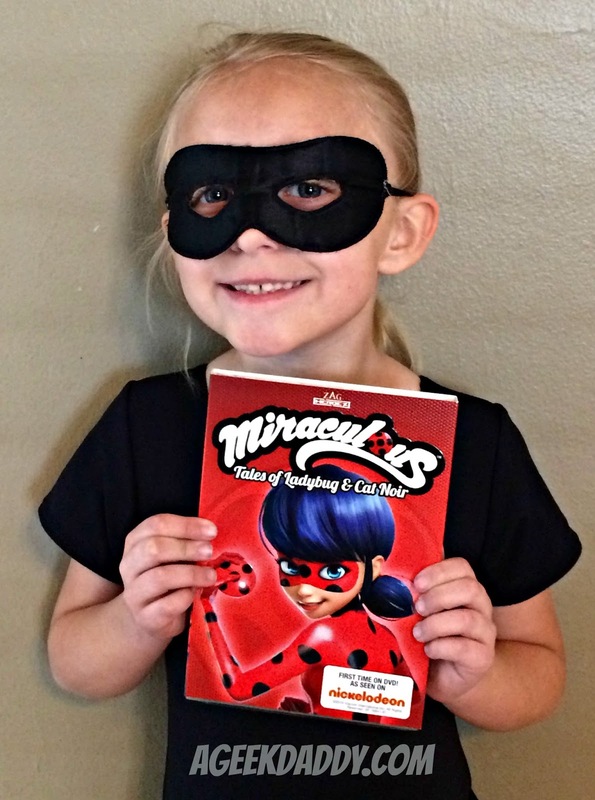 We're giving away a Miraculous Tales of Ladybug & Cat Noir DVD. UPDATE: Congrats to Tamara R from Elverta, California who won our giveaway. To be eligible for this giveaway you must follow @Geekdad248 on Twitter and retweet our original contest tweet which is embedded above before May 6, 2016 @ 11:59 pm EST. Must be a US resident over the age of 18 to participate. One entry per person and we'll randomly select someone from all eligible entries to receive a Miraculous Tales of Ladybug & Cat Noir DVD featuring the first seven episodes broadcast on Nickelodeon. Marinette and Adrien, two seemingly normal kids live what appears to be an ordinary teen life. But when the evil Hawk Moth threatens their beloved city of Paris, they transform into the superheroes Ladybug and Cat Noir using super powers gained with the help of their magical friends. Hawk Moth is using his evil energy to transform normal people into super villains, so our two heroes need to use all their skills to defeat him. Becoming Ladybug is a complicated process for Marinette. First, she needs a "Kwami" which is a tiny magical creature. She also needs a "Miraculous" which is a magical accessory. Combining the two transforms Marinette into a super hero, but her Ladybug powers only work for a limited time! It is a good think that she gets a little help from her super hero sidekick, Cat Noir, even though she insists she doesn't need his help. If only she knew Cat Noir's true identity -- Adrien, her school crush. It will take a lot -- friendship, teamwork, and skill -- to outwit Hawk Moth. 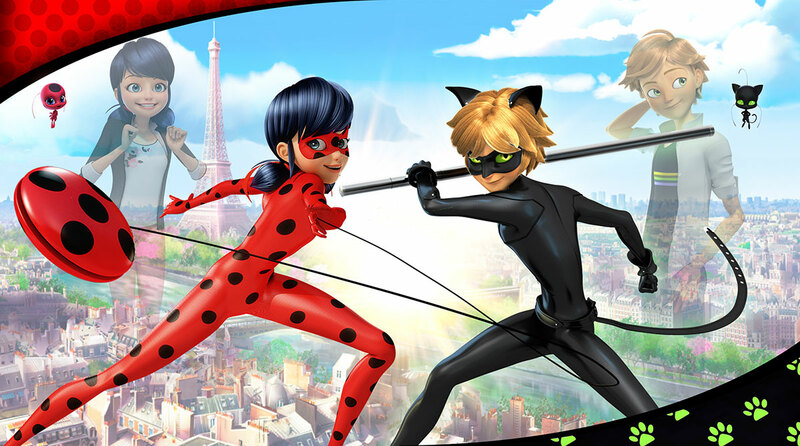 Will Ladybug & Cat Noir be able to balance their double lives and keep Paris safe? Will they ever find out each other's true identity? Until then there is a whole city of baddies to defeat...SPOTS ON, CLAWS OUT! The Miraculous Tales of Ladybug & Cat Noir DVD includes the television episodes "The Bubbler," "Mr. Pigeon," "Stormy Weather," "Timebreaker," "Copycat," "The Pharoah," and "Lady Wifi." It also contains bonus features including cast and crew interviews, episode animatics, and a sing-along. CLICK HERE for information on how you can purchase this Shout! Kids DVD.